We've all seen the news articles that state children entering Kindergarten are coming with minimal fine motor skills. Many teachers and Occupational Therapists are noticing this trend not just in Kindergarten, but all age groups and grades. It's important as parents, educators, and therapists to realize what skills are age appropriate and what a child really needs to be able to do when getting to school age. 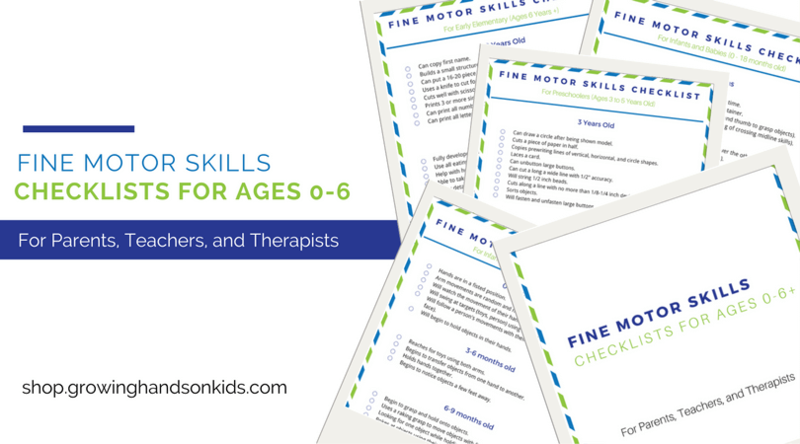 These fine motor skills checklists were created to help you do just that. Each checklist is divided into age appropriate skills needed for ages 0 to 6+. For parents, you can use them to see how your child is doing in age appropriate fine motor skills. Simply print them out to have on hand, especially as your child is preparing to enter Kindergarten. For teachers, you can use these as informal assessments in your classroom to see how your children are progressing. It's also helpful to see what gaps you need to fill in in your classroom activities to help promote well rounded skills. If you have a new teacher, these are a great way to introduce them to age appropriate skills needed for the classroom. For therapists, you can use these checklists as informal assessments of your caseload and to also educate teachers and parents about age appropriate skills. They are also very helpful for OT students, new grads, or a therapist who is moving to a school or pediatric practice setting. 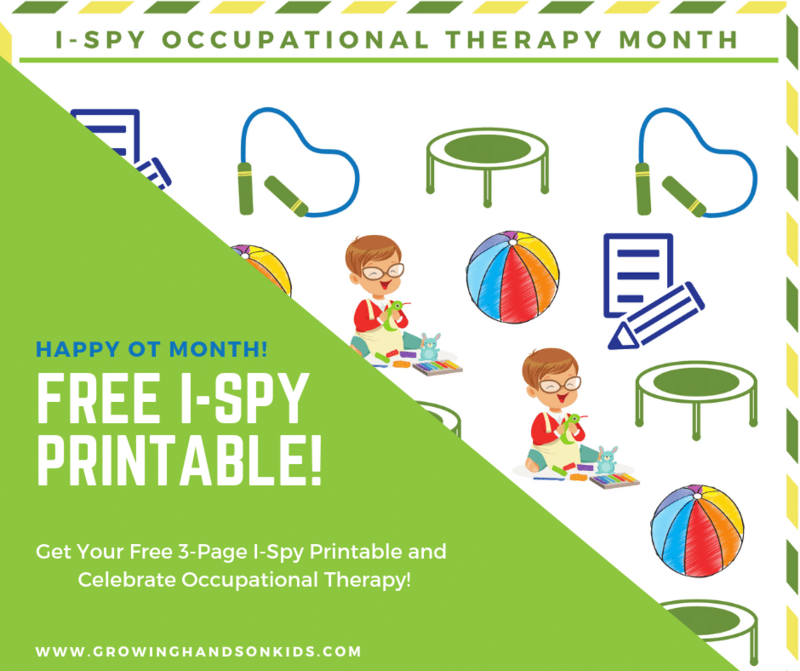 The fine motor skills checklists are a free digital download when you enter your e-mail address below. Click the green “Click Here” button and you'll get an e-mail asking you to confirm that you want to subscribe and get the download. Note to current subscribers: If you have already subscribed and downloaded any other printables from my site, you will be subscribed again. By entering your e-mail address below, this let's my e-mail system know that you want the free download. You will not receive duplicate e-mails.